When I began this blog, I wrote mostly about technology. It didn’t take long to learn that I had little to say, and what I did say, wasn’t interesting. Then Engadget and Gizmodo burst onto the scene and killed the category. Yet, as much as I enjoy keeping up on the latest gadgets, large sites like these have little influence in what I purchase. I’m far more likely to make a purchase after Dave Winer blogs favorably about a netbook, or when Aaron Massey tells me how his children use his iPad. Whenever Ben Talbert or Keli Dean share a song, I’ll immediately add it to my playlist. If Mike Henneke mentions a new blog he’s following, I’ll add it to Google Reader. If Louis Gray posts a link to an article on Twitter, I’ll add it to Instapaper. Each of these individuals have earned my trust, and I value their opinions. Google can clutter the web with ads and companies can seed product reviews at Amazon. And that ad disguised as a travelogue of Disney World is just another mommy or daddy blogger who didn’t want to get left out of the action. I can’t tell whose pockets are being lined with free products anymore. 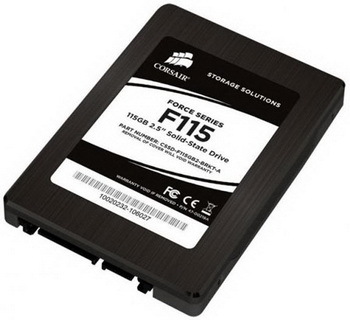 The first product is geeky and takes some work to install, but the payoff is nothing short of a stunning speed increase of my Windows 7 box: Corsair Force 115 GB SSD. I replaced an aging SATA drive tonight with the Corsair. It took the good part of my evening to drop an image of my Windows partition onto the SSD, but I’d do it again in a heartbeat. My system is so quiet and boots in under 30 seconds. And, oh the speed! For about $160, it feels like one of those Maximum PC geeks got hold of my PC and overclocked the crap out of every component. The speed in intoxicating. Why did I take so long to make the move? SSDs have come down I price, but are still expensive per gigabyte. They also work best when paired with newer motherboards. But no way am I ever going back to SATA. The other product I recommend is for iPhone and iPad owners: Reeder. I use Reeder more than any other app on my iPhone and iPad. What is it? Well, Reeder is an RSS reader that syncs with Google Reader. This is the most elegant app I’ve used. So simple on the surface, but incredibly powerful without shoving feature after feature in your face. Reeder reveals itself slowly, but you’ll come to appreciate the dozens of small touches that make it a joy to use. This is the app that, more than any other, keeps me on iOS. Flipboard gets all the press and it’s well-deserved. But it’s Reeder I’m use more than any other app. The iPhone version is $2.99 while the iPad version is $4.99. If you read even a handful of blogs, you’ll love it. Have you found any great products lately? I just switched to Reeder a week ago, and while the Google Reader interface on iPad wasn’t terrible, scrolling was a pain and some click targets were too small. With Reeder I’d rather work through RSS on my iPad (with Instapaper/Pinboard saving/sharing) than on the Desktop, although I’d still use the native Google Reader for feed management and mass ignores and the like. Nicolas, I agree with you about Google Reader. I still need it to admin my feeds, but once I used Reeder, I didn’t want to use anything else to read them. Reeder on the iPad is just a great experience. I trust you. Does that count? I’m the same way. Rarely does a big tech site when me over. Leave it to the bloggers to give me the best recommendation, or even via Twitter as much. Todd, that’s a good point you make about those on Twitter. I trust them far more than the big tech sites. Always appreciate your comments, Todd. Keli, I use my iPad 2 a lot more than I did my Acer netbook. But if you need to do a lot of writing, you might find a netbook more your style.